Capsule CRM is online CRM for individuals, small businesses and sales teams wanting a simple, effective and affordable solution. Manage your contacts and their history.Build stronger customer relationships, make more sales and save time.Store and manage all your business contacts in one place. All relationships, not just customers. Manage contacts, leads, customers, vendors and more.Customize Capsule by adding the data fields you need and define processes for your team to follow. 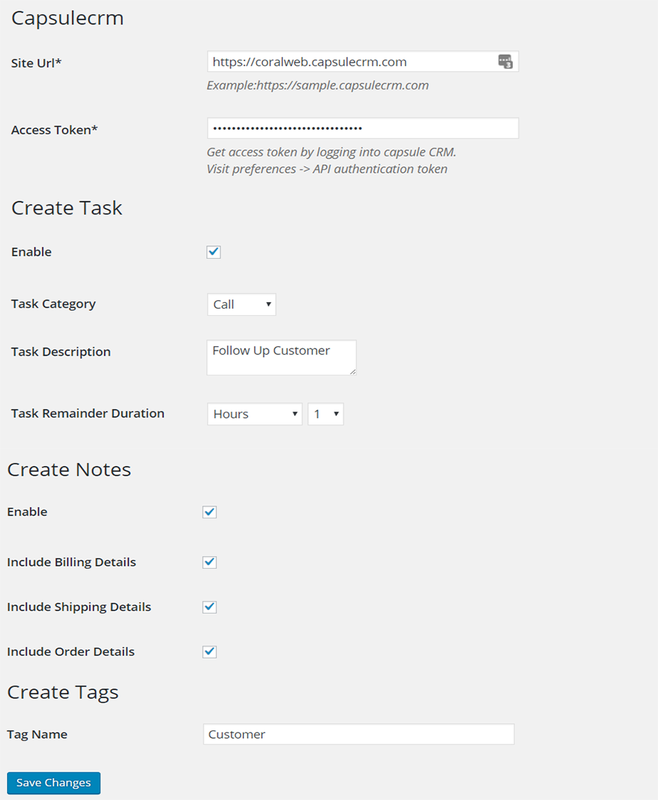 Create custom categories using tags such as vendor, lead and customer. 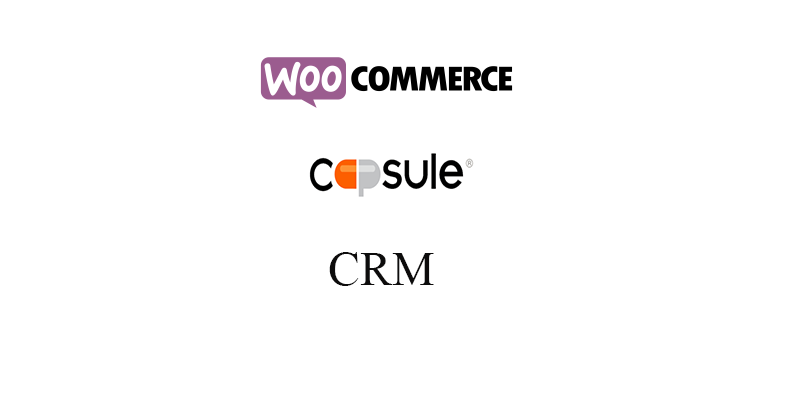 After activate the plugin click the "Woo - Capsule CRM" menu and save the following settings.